A recent article has hit the Journal of Chiropractic and Manual Therapies concluding that their search parameters found “no acceptable evidence on the effect or benefit of FN [functional neurology] in relation to various conditions and purported indications for intervention .“ On face value, it’s a damning review of a practice that spans not only chiropractic, but several other professions. However, a second look shows us that this is not a statement on the state of evidence for functional neurology, but an opportunity to broadly discuss what it comprises, how it can improve human function and where we can find the evidence. The search parameters were limited to the journal Functional Neurology, Rehabilitation and Ergonomics, which one could assume would be well versed in the nature and practice of FN. Yet strangely, only 9 suitable texts were found. We caught up with the man often credited as the pioneer of the field, Professor Frederick Carrick, to talk about it. He doesn’t make a habit of commenting on other peoples work nor has he read the paper in question, hence the focus of our interview was on the positive impact the field has made and continues to make, as well where it sits within the context of the various health-related disciplines. One thing is abundantly clear though – there’s plenty of evidence for functional neurology. You just need to know what to look for. The fact is that FN is not a technique, nor is it its own discipline. It’s something practiced in a variety of health professions, but you won’t find it by typing “Functional Neurology” into a journal’s search field. Professor Carrick (DC, PhD, MS-HPEd, Professor of Neurology and Senior Research Fellow BCMHR in association with University of Cambridge, UK, Global Clinical Scholar Harvard Medical School and Dean of Graduate Studies -Carrick Institute) is a man whose impact on the field spans academia, ground-breaking therapeutic approaches and as a sizeable footprint in research and literature. Carrick’s work has literally touched celebrities, professional athletes, government officials and even royalty, with people coming from overseas to seek help at the Professor’s hands. The cases he deals with are complex, and people have often sought help elsewhere before coming to Carrick for answers. He didn’t exactly seek to coin the term ‘functional neurology.’ It came from a PBS documentary on his work, titled ‘Waking up the Brain’. On a practical level, that is exactly what functional neurology seeks to do. “The term ‘functional neurology’ was used to describe our goal of increasing human function – not just returning it but increasing it. When we talk about a functional approach to neurology we are simply talking about increasing human function or increasing the probability that people will be able to do all that they were destined to do or perhaps a little bit more. So that’s functional neurology in a nutshell,” explains Professor Carrick. “It encompasses a very thorough neurological examination, which is not different to anyone else trained in neurology. The nervous system is the same. It’s not specific for a chiropractic neurologist, a medical neurologist or a dentist. The eye works only in certain ways [for example]. Our examinations are in-depth – more in-depth than some disciplines, perhaps less in-depth than others. They are very specific to the brain, central and peripheral nervous system in regard to environmental activations whether they be light, heat, cold, taste, smell, movement, or different sensations. We examine and quantify them so certainly our discipline is one of evidence base. When we talk about functional neurology, there is more evidence published in the literature than one could ever read in a lifetime. Its just not delineated as functional neurology. If someone has weakness in their biceps and goes to their doctor, and the doctor prescribes an exercise to increase strength in the arm and finds that by lifting a dumbbell three times a day every day for three weeks, that it increases significantly better than if you did it five times a day over a lesser duration, one could report that. But one wouldn’t report that as ‘functional neurology strengthening exercises’. One would simply say, ‘a daily adjustable progressive resistance exercise for the biceps’. When you are looking to find evidence for it, you first have to understand what it is that you are looking for. Its not only chiropractors who use a functional approach. At the Carrick Institute, we train physicians of all disciplines in neurology. We have a special niche for chiropractors, and we teach them very specific adjustments or manipulations along with a breadth and depth of clinical neuroscience. Our surgical students, are taught surgical procedures along with a breadth and depth of clinical neuroscience [etc.]. We ‘ve got the staff and faculty for that, and they are very specific for those disciplines but the breadth and depth are very much the same. What does this mean for the chiropractic group, who are really masters of spinal biomechanics, exercise and different types of rehabilitation without drugs and surgery? A lot of what we do in regards to a functional approach to treating neurological lesions involves the relationship of the brain and body, mind and body, or head and neck. So if you would search the relationship of eye movement and brain, or head movement, or if you search things like vestibular rehabilitation (or these type of concomitants), you would find a plethora of information central to what we do in functional neurology. Professor Carrick then raises a poignant issue: it would be unwise, even ridiculous, for a board certified practitioner who is trained in functional neurology and practices vestibular rehabilitation to rebrand something as well-accepted as vestibular rehabilitation to functional neurology. He describes how various therapies (like vestibular rehabilitation or specific exercises that act on the central nervous system to increase or restore human function) are backed by randomised controlled trials, meta-analyses or clinical trials. Thus, when it comes to whether or not functional neurology has an evidence base the answer is an unequivocal yes. Alongside its growing research footprint on a broad range of FN-related topics and applications, The Carrick Institute has long been associated with work on complex cases such as stroke, concussion, and brain injuries. Often these have been cases where imaging and laboratory testing has been unremarkable and yet patients have been suffering very real, ongoing problems. These cases, and the notable outcomes seen in many of them, are fruit of a therapeutic approach that may be poorly understood by some but is potentially life-changing nonetheless. While Professor Carrick continues to head up and support research into various aspects of the FN approach, one thing is clear – the evidence base is there. You just need to know what you are looking for. Over the course of his remarkable career, Professor Carrick has had opportunities to lecture in Institutions that have housed some of the most notable and prestigious contributors to the science of neurology. “I’m invited because of what I do – increasing human function. I have a good reputation as a clinical neuroscientist” he says. His work on brain activity is greeted with a great deal of enthusiasm in the worlds of Academia, evidenced-based practice and multi-modal chiropractic approaches alike. The Carrick Institute, which shares some impressive neighbours on the Space Coast (near NASA), is known for work with tilt tables, and machines that stimulate different areas of the brain. General chiropractic practice might not include such technology. Still, Professor Carrick is emphatic in his assertions that the general chiropractor, and to an even greater degree the chiropractor who has training in functional neurology, can impact human function significantly. He also firmly stands behind the evidence base that is both present and ever growing. The months to follow will see Carrick, his colleagues and the students under his supervision contribute to research and literature spanning a wide range of functional neurology applications, but still branded under other evidence bases. It doesn’t concern him in the slightest that such work would not be titled “functional neurology.” It’s about increasing human function, no matter what it is called. “I can say people with good intent could come to that conclusion [that there’s no published evidence for functional neurology] if they undertook searches for evidence using that logic for a search. It’s not going to be there. If you understand what the functional neurologist does – vestibular rehabilitation, exercise etc. – and you search those terms you are going to be blessed with a whole load of different activities. The chiropractic neurology specialty was the first non-medical specialty in the world to achieve accreditation with the National Commission of Certification Agencies (which is the international gold standard for accreditation). That was a tough road to hoe. Chiropractors were never in that club. The certification agency has completed several job analyses to answer the question of ‘What do you actually do. The specialty discipline might publish these so that there could be greater clarity in health care that is positioned to help people. 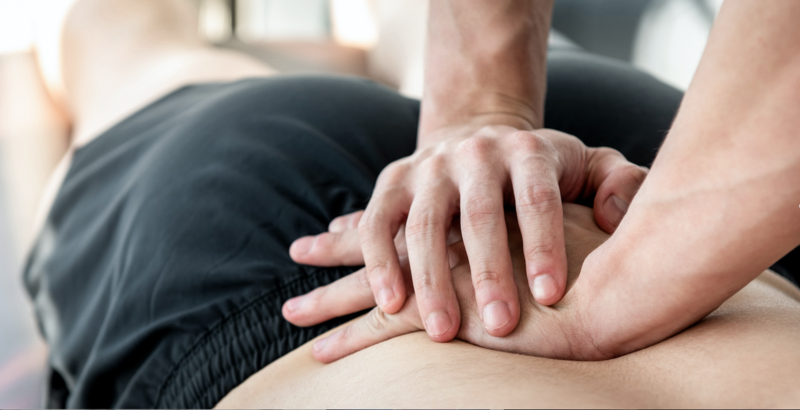 Increasing human function is a fascinating clinical area, with increasingly more investigations that might broaden our understanding of the impacts of chiropractic care beyond musculoskeletal conditions alone. Increasing human function or enhancing how brain and body work together is something that many health care professionals and especially chiropractors are interested in. As our understanding grows, through research, further training or both, it increases the potential for our patients to receive the benefits of the discipline. While Professor Carrick is proud of the work his past and present students undertake, he is also quick to note that further training in functional neurology while beneficial, is not for everyone. The general chiropractor offers a unique and valuable service to their patient base. We had the pleasure of sitting with Professor Carrick for an hour-long interview. We will be publishing the rest of that discussion, which includes some insights for chiropractors, in the Members-only updates. Make sure you tune in for those! ASRF thanks Professor Carrick for your contribution.